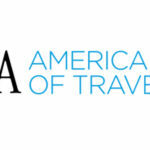 UKinbound is excited to announce a new partnership with the American Society of Travel Agents (ASTA), the leading trade association for the US travel industry. The collaboration will provide UKinbound and its members with additional opportunities to work with US based travel agencies which will help to target and attract more US travellers to visit the UK. As part of the partnership, ASTA is offering discounted membership to UKinbound members which includes benefits such as a listing in the ASTA member directory, in Travel Advisor magazine (ASTA’s quarterly print publication), access to its global network of travel professionals and a variety of other incentives. The US is a key growth market for the UK, with over 3.45 million Americans visiting the UK in 2016, spending over £3.35 billion. Collectively, they spend more than any other inbound market and are only succeeded by France in terms of visitor numbers.